IS A TIMBER FRAME HOME IN YOUR FUTURE? Home→Savings Offers→IS A TIMBER FRAME HOME IN YOUR FUTURE? Spring is here, the weather is finally warming up, and maybe you are looking for that new log or timber frame home! If so, would you like to save over FOURTEEN THOUSAND DOLLARS ($14,000)? 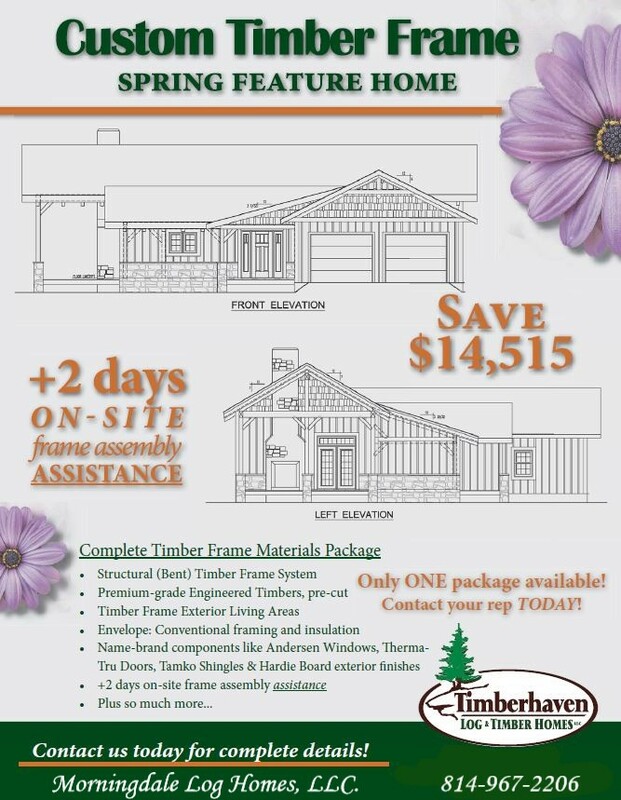 Then we have a limited time, first-come-first-served offer just for you on a great timber frame home. Just give us a call or email us and we will be glad to share more information on this fabulous one-time offer! But you better hurry because there is only one available and we are certain others are interested in it as well!